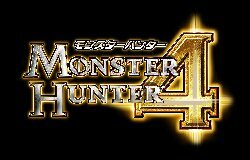 CAPCOM | Capcom's "Monster Hunter 3 (Tri) G" and "Monster Hunter 4" (tentative title) are confirmed for release on the Nintendo 3DS™! Capcom's "Monster Hunter 3 (Tri) G" and "Monster Hunter 4"
(tentative title) are confirmed for release on the Nintendo 3DS™! Capcom Co., Ltd. is pleased to announce its plans to release "Monster Hunter 3 (Tri) G" and "Monster Hunter 4" (tentative title) for the Nintendo 3DS system. The "Monster Hunter" series are hunting action games which take players on a hunt for huge monsters inside a world rich with nature. The games introduced a new kind of communication style, and created a "Monster Hunter craze" through cooperative play focused on hunting monsters with friends. Ever since the first game was released in 2004, our fan base has grown, and the "Monster Hunter" series has sold 18 million copies total. By releasing the newest "Monster Hunter" on the Nintendo 3DS, we aim to further strengthen the brand by captivating Nintendo 3DS users, and adding to the existing fan base. "Monster Hunter 3 (Tri) G", scheduled for release on December 10th, 2011, utilizes "Monster Hunter 3 (Tri)" (Released on Nintendo Wii®, August 2009) as its base, and will contain new elements that take advantage of the Nintendo 3DS and its capabilities. Not only will players be able to enjoy the feeling of depth from the 3D perspective, but the game will take advantage of the system's wireless functionality. In addition to the familiar controls, a customizable touch panel will also make controlling the game even smoother than before. Finally, G rank quests, new monsters, equipment, and new supporting characters will be included in order to satisfy long-time players, as well as those who are new to the franchise. Making games multiplatform is a basic strategy, and Capcom has strengthened the "Monster Hunter" franchise, as well as other popular brands, by using it. Capcom will continue to meet the player's expectations through superior developmental knowhow and research, and by choosing hardware that benefits our games the most. *Wii is a registered trademark of Nintendo Co., Ltd.
*Nintendo 3DS is a trademark of Nintendo Co., Ltd.
© COPYRIGHT CAPCOM CO., LTD. ALL RIGHTS RESERVED.